Summer is back and so is AWC-SB’s Books for Breakfast series. We start with The Confidence Code by Katty Kay and Claire Shipman. 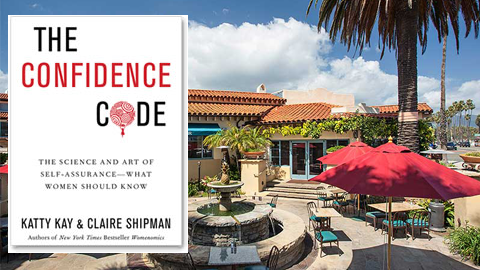 Ask a local bookseller about getting your copy of The Confidence Code – Chaucer’s, Granada Books, or Tecolote Book Shop. The next Books for Breakfast meeting is Friday, August 22. Same place. Same time. Book TBD – you help choose. See you on July 18. Looking forward to hearing your opinion! Questions? Contact LeeAnne French or Amy Orozco. This entry was posted in Past Events on June 19, 2014 by Lisa.